What a wonderful challenge and fantastic designs you entered this month! You found many creative ways to use the Bokeh technique! gave her background beautiful depth. The repeat stamped forest and Let It Snow sentiment were the perfect final touches. 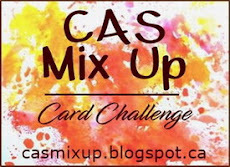 So pleased you joined our CAS Mix Up Bokeh Challenge. February's challenge starts in a few days. See you on February 1st! Oh my goodness. 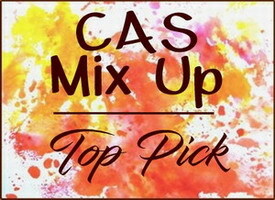 Congratulations to everyone, and thank you so much for including me in the mix! What a surprise and joy. Thanks to the whole team. I am glad that I could please you with my card. Thank you for choosing my design! I just love the CAS challenges you provide...thanks! 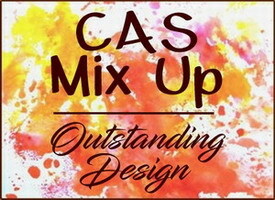 Wow this is terrific, i’m Delighted to have my card chosen as an outstanding design. Thank you so much! So excited to see my card as on of your HM's! Congrats to everyone and thanks to the DT for all the inspirations! I must say I'm blown away by all these fabulous cards. It must have been difficult to pick a winner.